"You may be thinking: "What is this "Paleo" diet anyways? Just another crazy diet where I am starving all the time? Counting my calories? Eating food that tastes like cardboard? Just another fad diet?" The answers to all of those questions are, "Noway!" I like to think of Paleo as a lifestyle rather than a diet- I know it sounds corny. But trust me if you give Paleo a 30 day try then you will think of it is this way too. Let me preface this explanation by this: I am not a doctor. I am not a nutritionist. I am not an expert. But I have done a lot of research and been Paleo for almost a year. 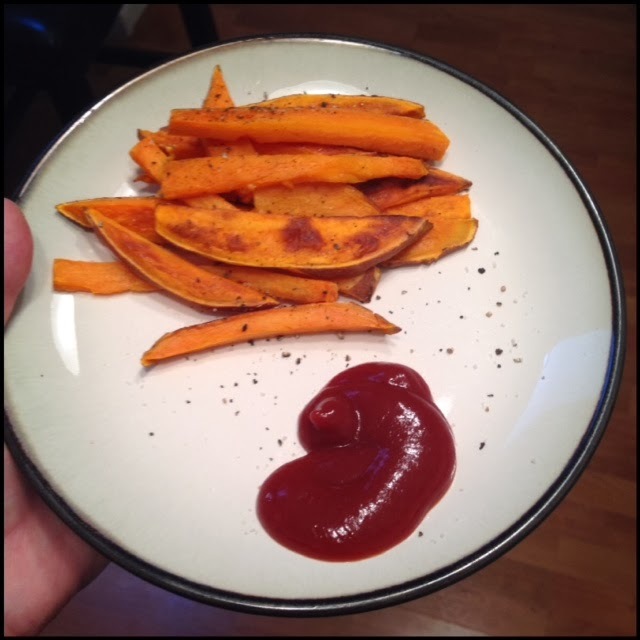 For me- Paleo has changed the way I see food. It isn't something that I just have and eat when I need it. It is something I put a lot of thought and energy into. It is one of the reasons I am alive. It is something that can me a better athlete and a better person. Paleo has put me back in tune with my body. 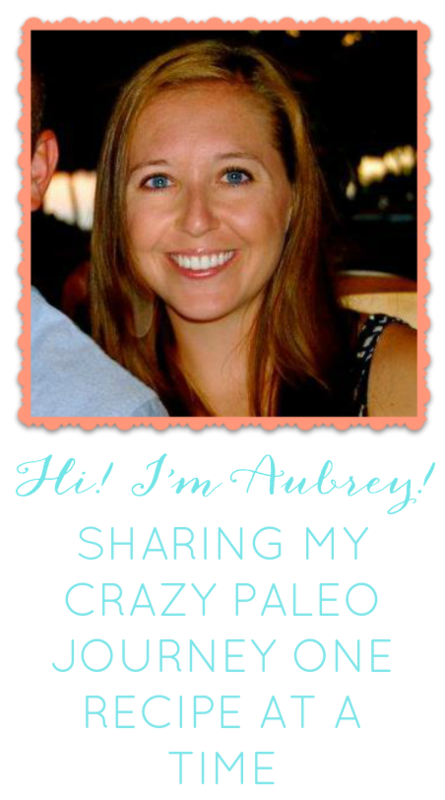 I never knew what healthy truly felt like until I ate Paleo. I know it sounds crazy that something that seems so insignificant can change someone's life- but that is the point I am trying to make. The way we eat isn't insignificant. It can change all assets of your life if you view it and respect it in the way humans used to. I hope this all makes sense and doesn't come off as a rant! But truly sit down and think about what you eat. You will be shocked at what will you will discover". Re-reading this has really helped me today. I know there are reasons I want to eat healthy. I truly believe everything I said before. But I have grown to a point emotionally that I am allowing myself those cravings without a side of a guilt. I know that on a daily basis because of my Paleo journey I put thought and consideration in what I put inside my body. I know better when I eat unhealthy but I also know to make sure I get extra nutrients in the thing I eat after the french fries. I know the full potential of my health and it has caused me to explore NEW facets of this journey. Why stop at Paleo when there are so many more things to try. I have started a new journey learning about holistic medicine. After finally realizing that I cannot trust others to feed me correctly (look at the FDA food pyramid and every commercial on TV) how can I trust what I have always known about medicine? Is taking an Aleve for a headache really the BEST option out there or is there more? The things I have learned in this new journey are amazing as well and I can't wait to share all of my new knowledge. Which I will begin to soon. So here is what has changed- I am no longer eating Paleo 100%. I still believe in it 100% BUT I am slowly adding to this belief system. I am learning the world is not so black and white and that living in the grey area for a little while won't kill me. I KNOW that with my new baby on the way when I am making her baby food at home and packing her snacks that consist of carrot sticks instead of cheetos I have Paleo to thank for that. I know that I am not perfect- and that's okay. But the reason I continue this blog, in times where I myself am not the poster child for Paleo, is because it really pains me to see so many people struggle in their own health journeys. Especially when I see them making the SAME mistakes I made- eating crap, then making up for it by eating what commercials and diet companies tell us are healthy. Then running on the treadmill and being miserable. Then eating crap and doing it all over again- all while having a steady stream of negative self talk in their minds. So I try to make meals they can make because when I first started someone else did that for me. I read countless blogs and got recipes that made me excited about food again. Recipes that made my weird love and hate relationship with food shift. So that is why I still blog. That is why I try my best to be honest- in the hopes that someone somewhere will switch out the lean cuisines and diet shakes for an avocado and some taco chicken. So with all that said (sorry I was long winded today) here is a recipe that I made the other day instead of going to In N Out. Small victories people, small victories. Pre heat your oven to 400 degrees. 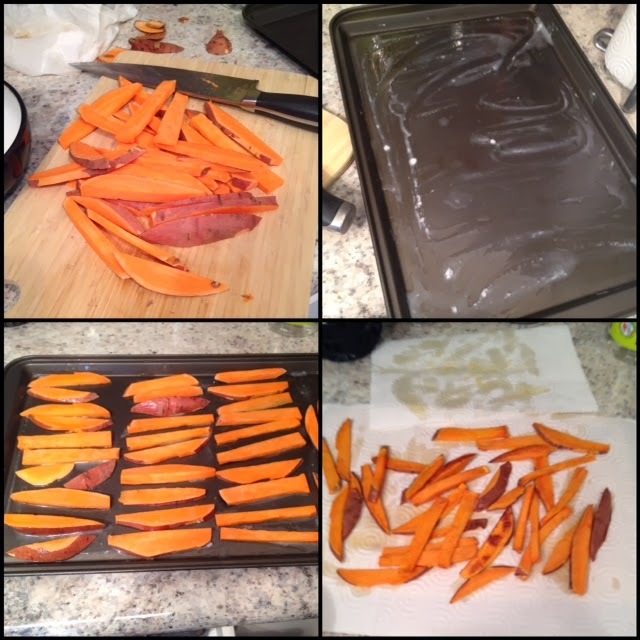 Cut the sweet potato into thin slices and coat your baking sheets with coconut oil. I had some extra coconut oil I drizzled on the top but some of them were a little soggy so I would be sparse with the extra coconut oil. Line those suckers on a baking sheet. Put them in the oven between 400 and 425 (I started at 425 for about 10 min then finished at 400) and cook for 15-20 minutes. After the 12 min mark I would keep an eye on these and watch them so they don't burn. A lot of people like to flip them in the middle of the cooking time but I am too lazy so I don't mind one side being crunchier. Finally- let them cool on paper towels, add seasoning and enjoy.